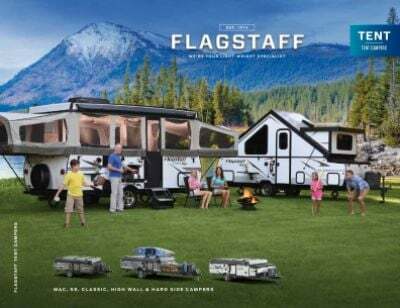 For great family fun and a lifetime of vacation memories, you can't beat the 2018 Forest River Flagstaff Sports Enthusiast 228BHSE Folding Pop-Up! And at Tradewinds RV Center, we make it easy for you to own the RV of your dreams! We have sensationally low prices and a huge inventory of all the top brand RVs. From first look to complete financing, we take you every step of the way, so live your dream today! Stop in and see us at 4325 W Vienna Rd Clio Michigan 48420 or give us a call at 810-686-0710. We're one of the top RV dealers in Michigan, and Clio's full-service RV supercenter! And with our terrific 24/7 fast, reliable delivery service anywhere in the country, it doesn't matter where you live. We'll make your RV dream a reality in no time - and save you $1000s too! The 11' 0" power patio awning opens easily to provide shade and UV protection when everyone's relaxing outdoors! It's 23' 10" long, 7' 0" wide, and the sturdy GVWR of lbs. 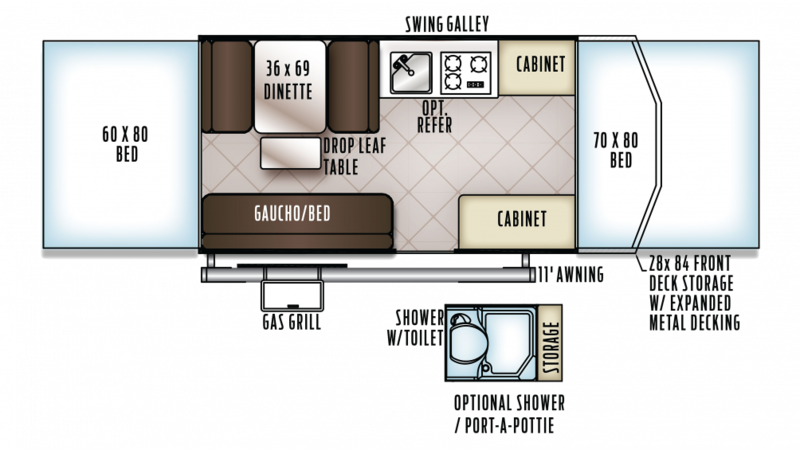 means this RV will give you years of camping fun! It's very towable with a hitch weight of 338 lbs.